Honeybees although not native, are still beneficial to our environment, and hard at work. 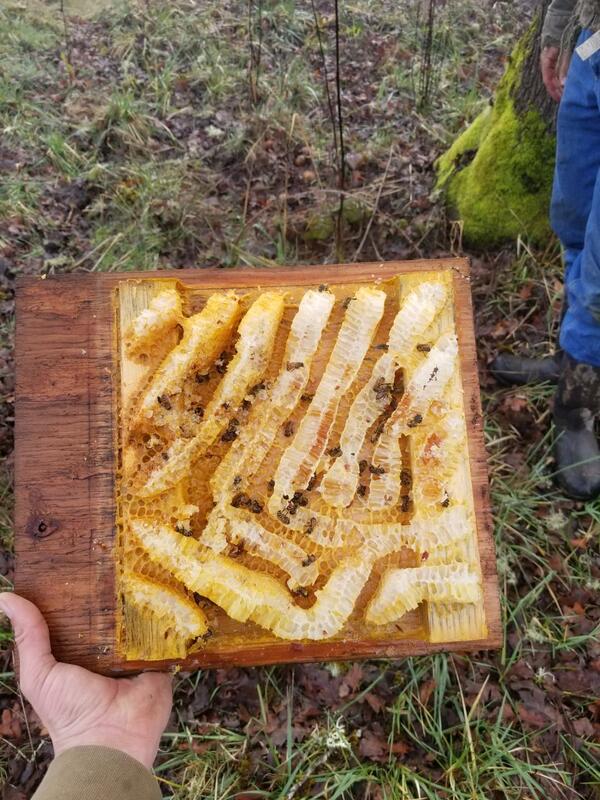 As you can see here the honeycomb found in this duck-box shows is evidence of their pollination activity. Although this colony was upset by some unexpected guess, there was evidence of another colony just about 20 feet away.